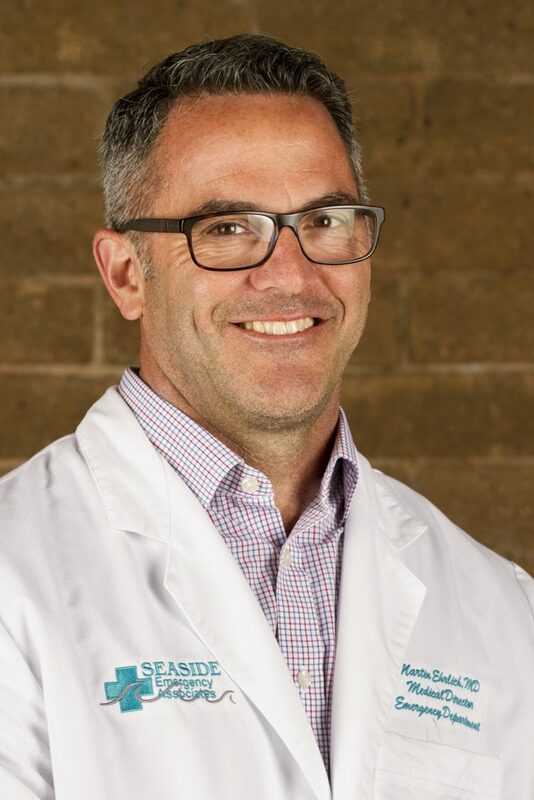 Dr Ehrlich received his medical degree from the University of Southern California in 1997 and completed his residency in Emergency Medicine in 2001 from Highland Hospital. Highland is busy inner city Trauma Center located in the heart of Oakland in the Bay Area. Dr. Ehrlich came to Ventura County Medical Center to pursue his career in emergency medicine and passion for training. In 2012, Dr. Ehrlich became the Medical Director of the emergency department at VCMC and Santa Paula Hospitals. At VCMC, he trains Family Practice Residents in the nuances of emergency medicine and the clinical skills required for full spectrum family medicine. These include airway management, vascular access, trauma management, point-of-care ultrasound, emergency orthopedic procedures, tube thoracostomy, paracentesis, thoracentesis, lumbar puncture and procedural sedation.